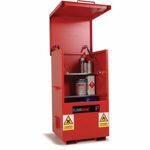 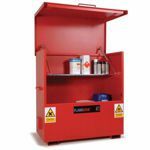 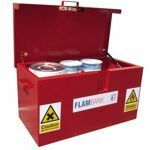 Hazardous storage vaults carefully designed to comply with regulations for safely storing flammables or chemicals. 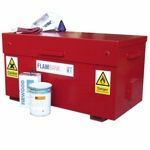 These COSHH boxes are built to the same high specification as the TuffBank, ensuring that your goods are kept safe, secure and protected from the weather. 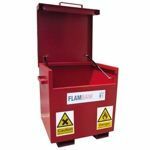 With seven different sizes, the FlamBank is ideal for building sites, factories or in commercial vehicles.